For many people, the image they see in the mirror doesn't line up with the image they want to see. And that's when their inner critic starts talking. Everyone deserves to appreciate and love themselves the way they are! It takes conscious practice to maintain a positive body image. Consider it as a skill that needs attention and sharpening. Silence the inner critic. Whenever you notice that you're having negative self-talk, practice replacing it with encouraging and supportive statements. Compliment yourself and cut yourself some slack and be kind. Surround yourself with positive messages and happy people. It is quite hard to accept and appreciate your body in a society that pushes weight loss and shames anyone who doesn't fit skinny standards. Hence, it's very important for you to surround yourself with positive messages and people and avoid focusing and criticizing other people's bodies. Create an inspiration board. 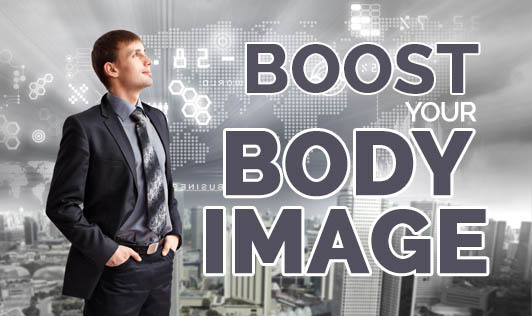 Visual reminders are great for boosting body image. Create an inspiration board with quotes, photos, or anything that makes you happy. This will inspire you to build a positive body image. Take care of yourself. A positive body image is not only about liking your looks. It includes practicing good self-care, everything from getting enough sleep to feeding your body nutrients to participating in physical activities to taking a break. "Reject the notion that you're flawed and that you need to constantly fix things on your body. Fight back and choose to fuel yourself with positivity. Remember that what you say to and about yourself will form you, so speak wisely!"